Our original 1928 Chrysler Imperial LeBaron was accepted at the Pebble Beach car show and we all went a few weeks ago. We were thrilled to be there and the entire experience was fabulous. 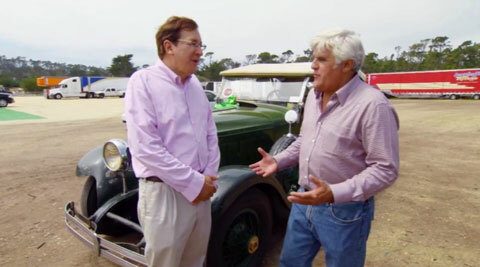 This video capture is from Jay Leno’s one-hour special on the Pebble Beach car show which aired on September 3rd at 7pm on CNBC, the financial news channel. Be sure to watch Jay’s complete Pebble Beach show!